In a democracy, citizens have the right to know about their judges and judicial governance. Claiming immunity and secrecy for judiciary may not help a constitutional institution to perform administration of justice and demand public trust. The narrative of judicial appointments in India is rich and varied in characters and issues. Central Public Information Officer v. Subhash Chandra Agarwal is a matter which is listed before the constitutional bench of the Supreme Court of India in the coming week. But this listing of case opened a Pandora’s box for variety of questions over the appointment of judges in India.Appointment of judges to the Supreme Court of India and High Courts is provided in Articles 124(2) and 217 (1) of the Constitution, respectively. These articles, which provide that the power of appointment vests in the President, in consultation with the Chief Justice of India for Supreme Court appointments, and in consultation with the Governor of the concerned state, the Chief Justice of the concerned High Court in addition to the Chief Justice of India for High Court appointments, were products of vigorous debate in the Constituent Assembly. The main issue before the Assembly was to incorporate a mechanism which would guarantee independence of judiciary. If we look at the debates of the assembly, we would find that the debates culminate in giving power of appointment to the executive. The broad reasons for giving the power of appointment to the executive was nothing but a mechanism to bring transparency in the appointment by including public opinion in it. However, since the drafters were acquainted with the fact that giving unrestricted discretion to the executive in the matter of judicial appointment had been a nightmare for the British, therefore check and balances is must, if at all the discretion has to be given to the executive. This would ensure that judges, in Nehru’s words, would be “people who can stand up against the executive government and whoever may come in their way”. It was decided by the constituent assembly that giving legislature role in appointment would only make it an object of political bargain, therefore, it was betterthat the legislative role in the appointments should be minimized to commensurate level and the president would appoint judges in consultation to the Chief Justice of India. However, Ambedkar himself, speaking in the Assembly, was careful to stress that “consultation did not amount to a veto being exercised by the Chief Justice of India, since that would result in an un-trammelled power being vested in a single person, a constitutionally unwise precedent”. Thus, the constituent assembly in a way maintained equilibrium in the process of judicial appointment by involving multiple authorities in aforesaid process that a mutual checks and balance would operate, whereby the dignity of judiciary and judicial independence remains unbiased. Then comes the notional development of appointment of judges in India by the virtue of three judgements that gave the a new concept called ‘Collegium’, whereby in Third Judges Case four senior-most judges of the Supreme Court along with Chief Justice of India shall decide that who shall be appointed or rejected as a judge of the High Court and the Supreme Court in India. The deliberation of the collegiums remains a matter of criticism for so many years because of instances including some appointments which resulted in impeachment proceedings (J.Soumitra Sen/J.V. Ramaswamy), and the proceedings extinguished and the judges resigned. Otherwise also there were instances where sitting judges of so many high courts came under scanner in last three decades but because of one or the other reason nothing happened and the judges resigned. But the matter of contentions remains the same for so many decades: where is accountability and transparency in higher judicial appointments in India? The antecedents of a prospective judge to a High Court must always be put under serious scrutiny at different levels of governance. Because when such antecedents were put on record through file-noting in different files of government then at any point of time, it can be checked but what if when the process itself remain secluded in the high echelons of governance including the Supreme Court. This question becomes more important when three judges bench of High Court of Delhi in Central Public Information Officer (CPIO), Supreme Court v. Subhash Chandra Agarwalheld that Supreme Court and the Chief Justice of India have a statutory duty to furnish information sought by citizens regarding the functioning and administration of the Supreme Court. The three judges of the Delhi High Court upheld the single bench judgement wherein the single bench had dismissed the challenge against the order of Central Information Commission, whereby it has directedthe Supreme Court CPIO to provide the information requested by Subhash Chandra Agarwal for supply of information concerning declaration of personal assets by the judges of the Supreme Court. Now this recent issue in CPIO, Supreme Court v. Subhash Chandra Agarwal,an appeal before the Supreme Court, becomes more relevant because if the office of the Chief Justice of India comes within the ambit of Right to Information Act then all deliberations of the ‘collegium’ can also come within the purview of accountability and transparency. It is also to be understood that nowhere in the whole of the world the judges decide for themselves especially in matter of appointmentor otherwise.Even in National Judicial Appointment Commission Case, the then Attorney General submitted before the Supreme Court that the NJAC was subject to Right to information Act.It is also to be noted that by putting this whole procedure of collegium under the secrecy veil, the whole purpose of Right to Information becomes redundant because people have right to know about their judges because judiciary is one of the organ of the state and subject to constitutionalism. 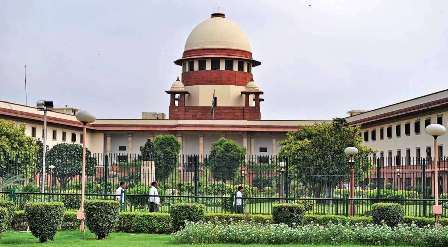 It is also to be understood that the antecedents of each individual, who is in the line of appointment in High Court or Supreme Court is a matter of public interest and hence must come under the notion of fundamental right to know.The outcome of this appeal before the Supreme Court shall have an everlasting effect on the aspect of administration of justice in India because access to justice is pre-requisite to administration of justice. The more access our constitutional institution shall strive to provide to our citizens, we shall have more qualitative governance for the people of this country.